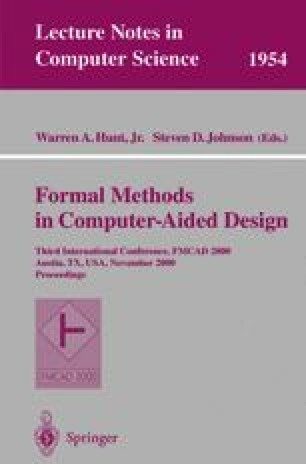 This paper presents a scalable method for parallel symbolic on-the- fly model checking on a distributed-memory environment of workstations. Our method combines a parallel version of an on-the-fly model checker for safety properties with a scalable scheme for reachability analysis. The extra load of storage required for counter example generation is evenly distributed among the processes by our memory balancing. For the sake of scalability, at no point during computation the memory of a single process contains all the data from any of the cycles. The counter example generation is thus performed through collaboration of the parallel processes. We develop a method for the counter example generation keeping a low peak memory requirement during the backward step and the computation of the inverse transition relation. We implemented our method on a standard, loosely-connected environment of workstations, using a high-performance SMV-based model checker. Our initial performance evaluation using several large circuits shows that our method can check models that are too large to fit in the memory of a single node. Our on-the-fly approach may find counter examples even when the model is too large to fit in the memory of the parallel system.